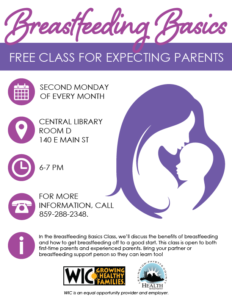 Find out more about our programs, classes, information, and support for the health of Lexington-Fayette County. 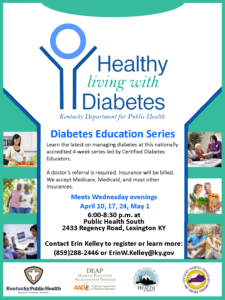 It is time to nominate people for the Lexington-Fayette County Health Department’s Dr. Rice C. Leach Public Health Hero Award. An employee at Roosters, 124 Marketplace Dr., has been diagnosed with a confirmed case of hepatitis A. As a result, customers who ate at the restaurant on April 16, 2019, may have been exposed to the hepatitis A virus and are advised to get a hepatitis A vaccination. April is Child Abuse Prevention Month. Everyone has a role to play in keeping #children #safe and ensuring they reach their full potential. Be empowered to take action to end child abuse! To learn more, go to @PCAKY at https://t.co/ziMprNQb4x for educational videos and webinars. 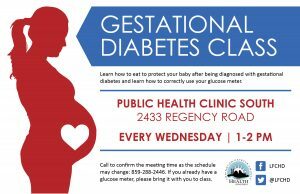 Free class for pregnant women diagnosed with Gestational Diabetes to learn about controlling blood sugar to have a healthy pregnancy.